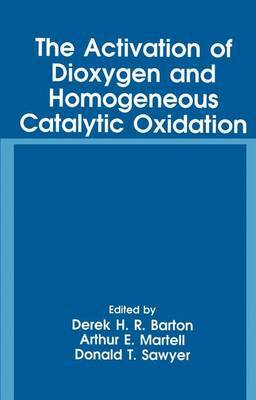 This monograph consists of the proceedings of the Fifth International Symposium on the Activation of Dioxygen and Homogeneous Catalytic Oxidation, held in College Station, Texas, March 14-19, 1993. It contains an introductory chapter authored by Professors D. H. R. Barton and D. T. Sawyer, and twenty-nine chapters describing presentations by the plenary lecturers and invited speakers. One of the invited speakers, who could not submit a manuscript for reasons beyond his control, is represented by an abstract of his lecture. Also included are abstracts of forty-seven posters contributed by participants in the symposium. Readers who may wish to know more about the subjects presented in abstract form are invited to communicate directly with the authors of the abstracts. This is the fifth international symposium that has been held on this subject. The first was hosted by the CNRS, May 21-29, 1979, in Bendor, France (on the Island of Bandol). The second meeting was organized as a NATO workshop in Padova, Italy, June 24-27, 1984. This was followed by a meeting in Tsukuba, Japan, July 12-16, 1987. The fourth symposium was held at Balatonfured, Hungary, September 10-14, 1990. The sixth meeting is scheduled to take place in Delft, The Netherlands (late Spring, 1996); the organizer and host will be Professor R. A. Sheldon.